In the sanitaryware industry, plumber loyalty is the gold ticket to success for a manufacturer. After 87 years making more than a million toilets a year, Mansfield Plumbing has racked up many gold tickets. “We’ve used Mansfield products for more than 25 years,” says Phil Schwartz, president of Schwartz Heating and Plumbing in Whitehall, Pa. “We keep returning to Mansfield because they’ve never given us a reason not to … they produce a top-quality product that’s affordable with an outstanding warranty. Schwartz’s team installs more than 750 toilets a year for new homes constructed by Sal Lapio Homes, Paxos Homes, Kay Builders and Castle Builders. He cites the style, performance and value of the toilets as a key reason for the company’s loyalty to Mansfield. 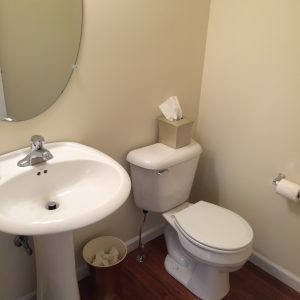 In the Raleigh, N.C. market, American Plumbing Co. out of Garner has kept returning to Mansfield products for the past 15 years because of the availability and dependability of the toilets and pedestal sinks.